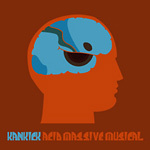 KanKick returns with yet another dope album! Lootpack affiliated drops mad gems on this one. All tracks produced by KanKick.